This copycat recipe is one for the books. 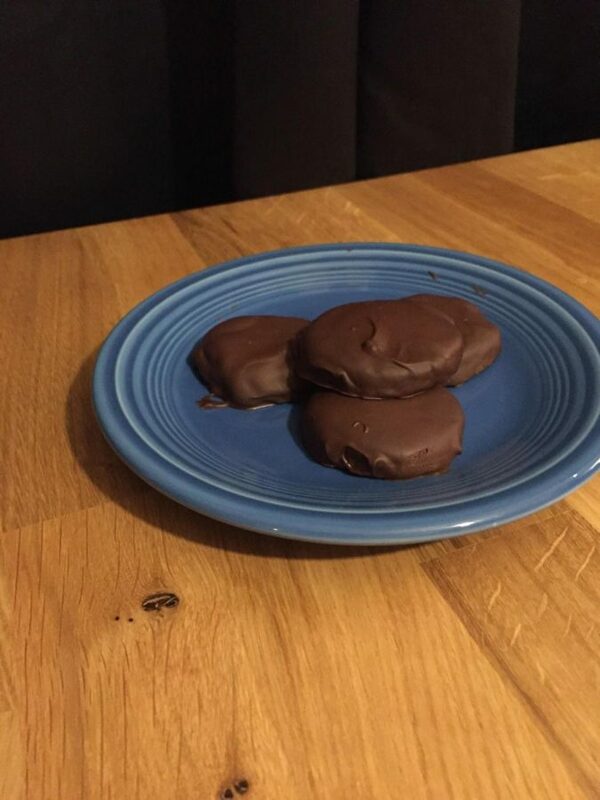 Thin Mints are a classic chocolate mint cookie that everyone adores. With a crisp center wrapped in a decadent chocolate covering, they’re universally accepted as one of the greatest of cookies. Thin Mints are only available when they are for sale in Girl Scouts, though, so the frenzy for these treats only lasts for a brief time. To help with the annual grief of the end of Girl Scout cookie season, this recipe can be used to recreate the classic flavors all year long. Combine the flour, cocoa powder, and salt. Stir with a whisk. In a separate bowl, beat the butter and sugar together until smooth and creamy. Add the egg white, vanilla extract, and peppermint extract to the wet ingredients and mix. Combine wet and dry ingredients and mix until doughy. Divide the dough into two pieces and then place the dough between two sheets of parchment paper. Roll the dough into ¼-inch thickness. Place them into the fridge for 3 hours or the freezer for 1 hour. Preheat your oven to 350 degrees Fahrenheit and line baking sheets with parchment paper. Remove the top layer of parchment paper, cut circles out of the dough with a 2-inch cookie cutter and place on baking sheet 1½-inches apart. Bake for 15 to 18 minutes or until a toothpick inserted in the cookie comes out clean. Gather the scraps and repeat steps 6-10. Combine the chocolate, oil, and peppermint extract in a heatproof bowl. Set it on top of a pot of simmering water, creating a double boiler, and stir until everything has melted. Dip the cookies in the melted chocolate until the whole cookie is covered, and chill until set.